Closures are the already assembled combination of the cap and sealing disc. In order to carry out a correct analysis, it is important that the seal is also inert and uncontaminated, in addition to the sample bottle. 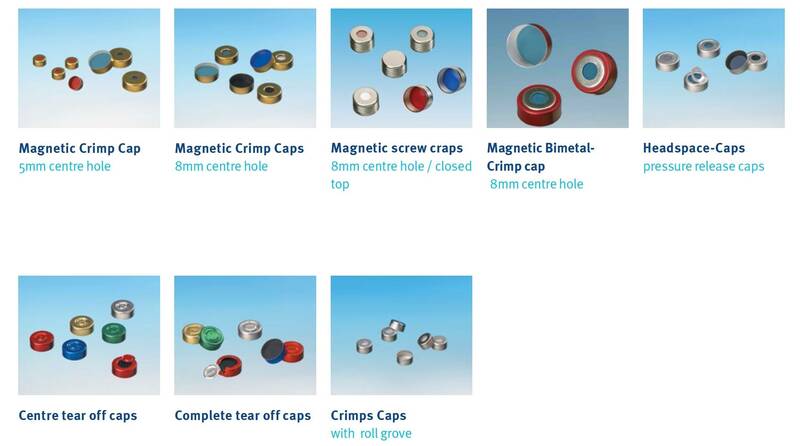 Various closures, such as snap ring, roller edge, flanging or screw caps, are available for the sample bottles. In addition to the suitability of sample bottle and closure for the used autosampler, the personal preferences in handling are also decisive. Can the flanging or screwing of the vials be better integrated into the working process? Should the closed bottle be opened quickly and easily? Cap, screw, blue, PTFE/red silicone septa, 100 pcs. 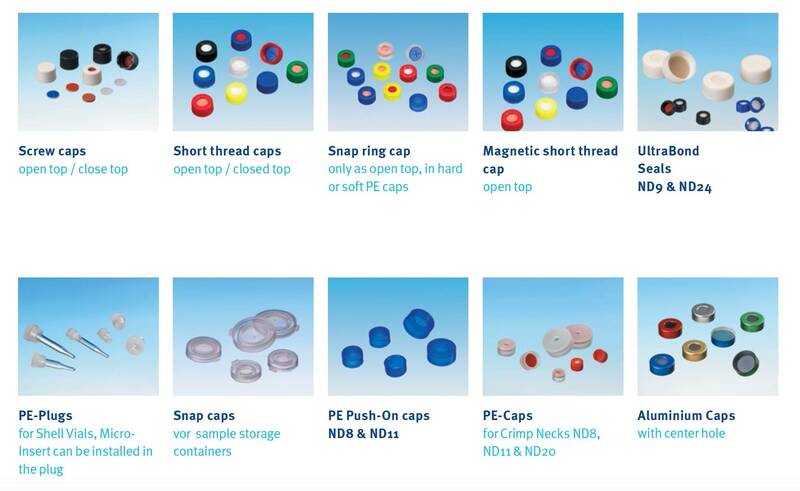 UltraBond screw caps: For ND9 and ND24; The caps and septums are inextricably linked. Headspace caps: Safety caps for headspace analyzes with a predetermined breaking line, in order to avoid bursting of the bottle if the internal pressure is too high. The short thread and crimp caps are also available in magnetic design for the respective car samplers (e.g., CTC).